The Differences Between Auction and Market Value | Wilson Auction & Realty Co, Ltd. In the auction world there’s such a thing as “auction value” and “market value.” You should know the difference if you’re a seller and/or a buyer. Market value is the price something is selling for in the current marketplace. For example, if you were to go to a local store and look at tractors, they’d have price tags on them indicating their market value. Auction value, however, is different because it’s the price an item is being auctioned for… so if a tractor in the store sells for $1,000 its auction value might be more or less, depending on a number of factors. Generally, market value is determined by the laws of supply and demand. When the public wants to buy something but there’s not a lot of supply, price goes up. When the public wants to buy something that there’s a lot of available, price goes down. The more rare an item, generally-speaking, the higher the price both market value-wise and auction value-wise. What is an item worth? Well, that “price” can change depending on what people decide it’s worth. For instance, an auction could very well get people to bid against one another and the winner pays more money for something than market value simply because, at the time of the auction, there are several parties all interested in buying that particular item and the auction value is sky high. For those who attend auctions, most bidders do their homework beforehand. They want to know the market value of items as well as the potential auction value, too. Essentially, bidders want to get a good deal, paying less than market value. So, if a used tractor is $1,000 at a local store, but a person could get a similar one at auction for $700 (its auction value), then they feel pretty good about getting good value on the deal. 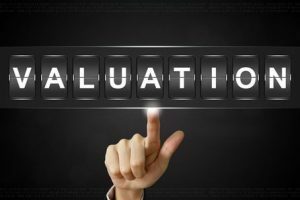 Finally, besides market value and auction value, you should know there’s such a thing as “emotional value,” too. That’s where people’s emotions play a major role in how much they’ll spend for an item because it holds emotional meaning for them. “I must have it, at any price,” is what a person who puts emotional value on an item would say. If you’re looking for a professional auction company in Bryan, OH, contact the experts at Wilson Auction & Realty Co. today.